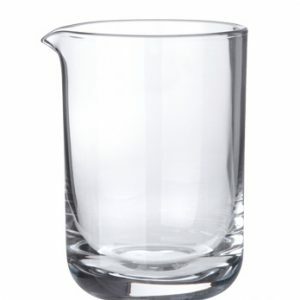 This classical mixing glass by BAR AID is made of glass and handcrafted. It has a height of approx. 15,0cm, a diameter of approx. 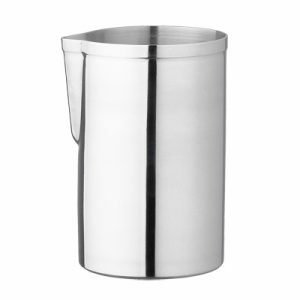 9,0cm and a capacity of 600ml. All measurements can vary due to the uniqueness. Furthermore this mixing glass is equipped with a spout. 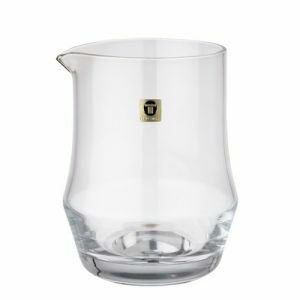 The glass has a thick base which gives enough stability. Compared to common mixing glass the base is not too thick. This way it won´t store heat that easily and the glass won´t break or crack. 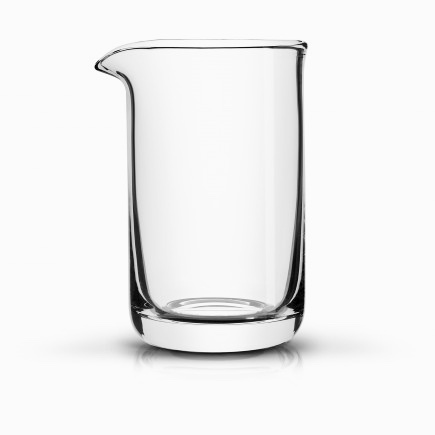 Moreover the mixing glass has a heavy weight of 650g and is dishwasher suitable. We recommend a manual cleaning during your work and a dishwasher cleaning at the end of your shift. You will need a mixing glass to stir cocktails with thin ingredients. Viscously ingredients such as syrups, juice, milk, cream or eggs are not that easy to mix together. Due to this characteristic your would shake these ingredients. Moreover there won´t be any small bubbles when stirring and the drink will be clear. Martini´s or a Manhattan are classical drinks which should be stirred. Use ice cubes with a mixing glass to stir a drink. This way the ice won´t break and water-down your drink.